For the 12h race we assembled a team with Ward Maenhout, Peter Neefs and Stefan Verhofsté. The race was at the track of Tor Gokartowy, which had recently renewed the whole track with fresh asfalt. This made the track look brand new. On the corners there is a tire wall as protection. The karts that were used during the race looked a bit familiar because they came from the Belgian karting track in Eupen. 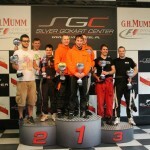 Seems that these karts are still good, none of them broke during the race, although there was some difference in them. On arrival on Friday, we did some training which gave us a confident feeling so our goal was to get on the podium. After some drinks, we almost woke up too late for the race. But we made it just in time to still do 1 extra training. Qualification was split in 3 parts. Q1 was 4 laps, Q2 3 laps and Q3 was only 2 laps. The average of the best times resulted in the grid layout. We managed to qualify on the 5th position. Peter would take the start on 95 kg because we though our first kart was pretty good. During the start, Peter got stuck because a driver didn’t leave space for him so we had to catch up. After him, Stefan took over and managed to drive to the front again. Stint nummer 5 and 6, it was up to Ward, who seemed to have some trouble finding his pace. He lost some places and we fell back to 5th place. The rest of the race went pretty smooth, Peter and Stefan drove very well, Ward found some more speed in his other stints. Still too slow to gain time but he didn’t lose time anymore also. 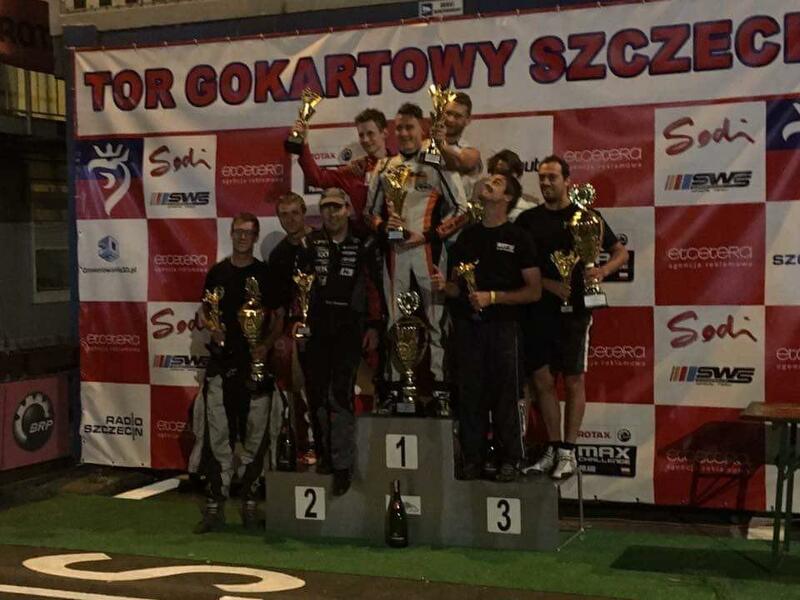 In the end we finished 4th place, 9 seconds behind 3th place Piotr Wolynka. He deserves a special applause for driving the 12h completely by himself. 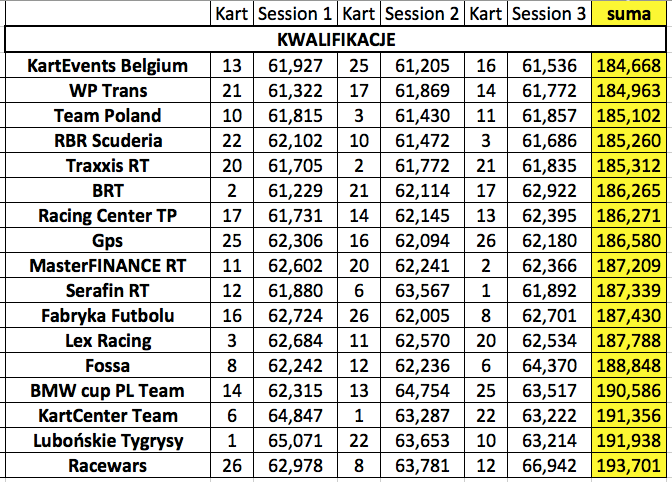 One lap in front, P2 was for the other Belgian team Kart Events Belgium and with 13 seconds lead, Team Poland took the victory. Because Piotr was driving alone, he didn’t fit the rules of the race which stated that you need at least 3 drivers in your team. For this reason, he was taken out of the result and we got 3th place on the podium. 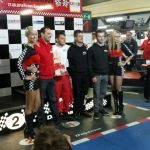 Piotr did however get a separate cup for his result and a great applause and respect from every other driver, well done Piotr. 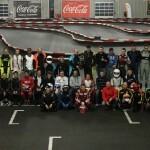 In the end we lost time because of Ward which lacked speed and it seemed that the bad karts got better after sunset. With more training and better tactics and a bit more luck, we maybe could have challenged Team Poland for the top step of the podium. 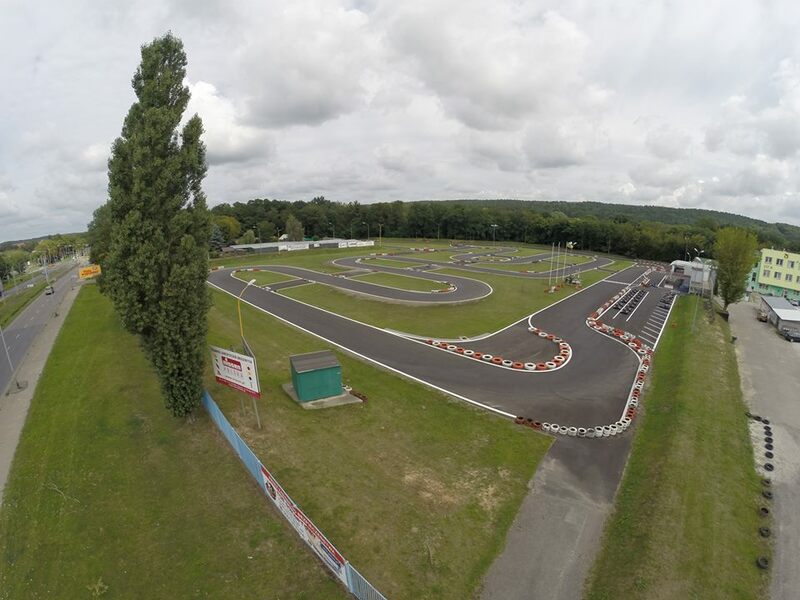 While returning home to Belgium our boys made a pitstop at Lap`s Kartcenter in Grimma (Germany), where their annual 24h-race was about to end. They could see the finish, and support some of our international kart-friends, as well as compatriot Mathias Grooten who was helping Formiko Racing Team to finish P7!